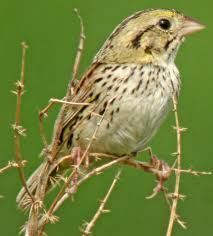 of the twenty-plus species of native sparrows that are regularly seen each year in central Texas. Our talented leaders will take you to refuge tracts beyond the trails where 'little brown birds' play. 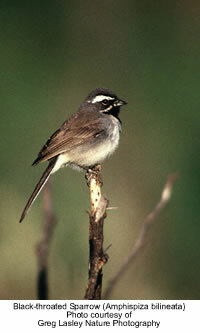 Learn how to identify the subtle differences and behavior of Texas wintering sparrows. Attendees will be split into smaller groups to maximize opportunities for bird study. The instructors expect that workshop participants will have a good chance to see over 15 species of sparrows during the course of the day. We will alternate classroom sessions with morning and afternoon field trips to a variety of habitats which give participants the best opportunity to practice identification techniques and to maximize the chance to observe the large numbers and variety of sparrows present in the grasslands and scrub environments of the Balcones Canyonlands National Wildlife Refuge. The workshop leaders, Byron Stone, Bill Reiner, Randy Pinkston, and Jeff Patterson. all have a great deal of experience with teaching and conducting field trips to observe sparrows and other specialty birds of central Texas. Participants should be prepared for a variety of weather conditions, ranging from mild to bitterly cold. Average highs in February are in the low 60's; average lows are in the 40's. Chance of rain on any given day in February is about 25%. The most important consideration is to bring sturdy footwear, since we will be walking in rocky, brushy terrain, often among prickly-pear cactus. Ideal footwear for this type of trip would be waterproof, leather hiking boots. We will spend several hours walking, although the pace will be slow, as we will (hopefully) be spending a fair amount of time observing flocks of winter sparrows and other birds. Participants should bring binoculars and other appropriate birding gear. Each of the instructors will have a spotting scope and tripod, but workshop participants are encouraged to bring their own scopes if they wish. A water bottle and a small pack to carry snacks and gear are highly recommended. Registration includes a light "grab and go" breakfast, a hot lunch and a hot drink and snack after the last field trip. Local housing can be found here.